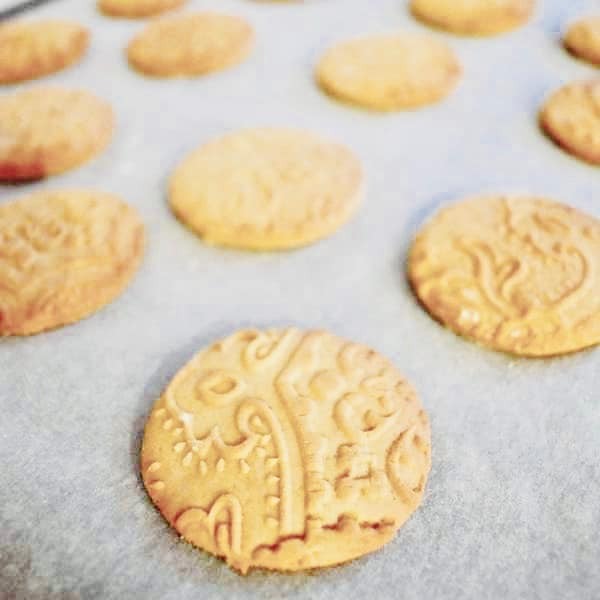 We’ve already made Butternut Cookies and Iced VoVo Biscuits here in the Cooking with Nana Ling kitchen. 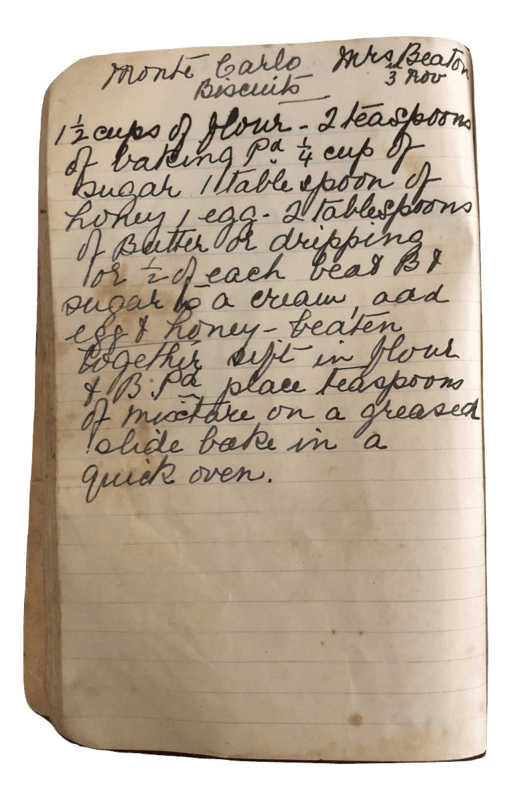 This recipe is for another biscuit made famous by Arnott’s: the Monte Carlo Biscuit. The Monte Carlo was first manufactured by Arnott’s back in 1926. Growing up in the 70’s and 80’s, it was still a popular treat in my house. This homemade version is worth a try if you’re still a fan of the Monte Carlo today. I decided to test out my new embossed rolling pin to make these biscuits extra special. You can find the embossed rolling pin plus a few other lovely kitchen bits and pieces over in the Cooking with Nana Ling shop. Sift in flour and baking powder and mix to combine. 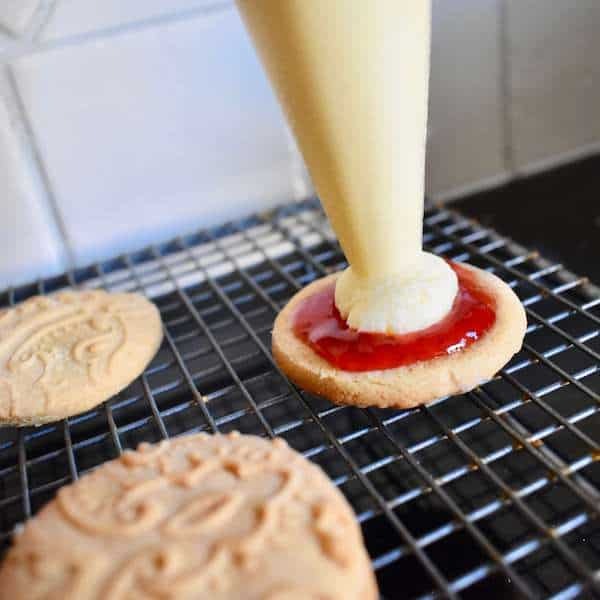 Cut into rounds using a scone cutter or similar. 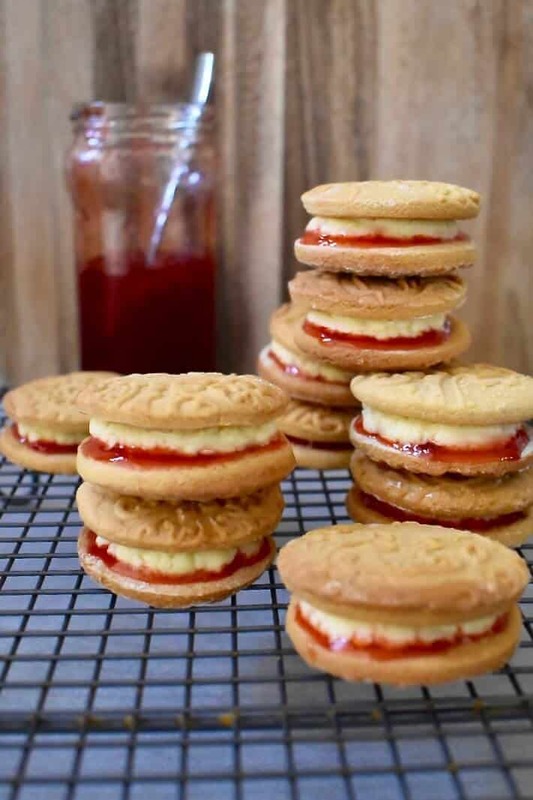 When cool, spread a biscuit with a tiny amount of strawberry or raspberry jam and then pipe some buttercream on top. Add another biscuit to the top and gently push down to create a sandwich.